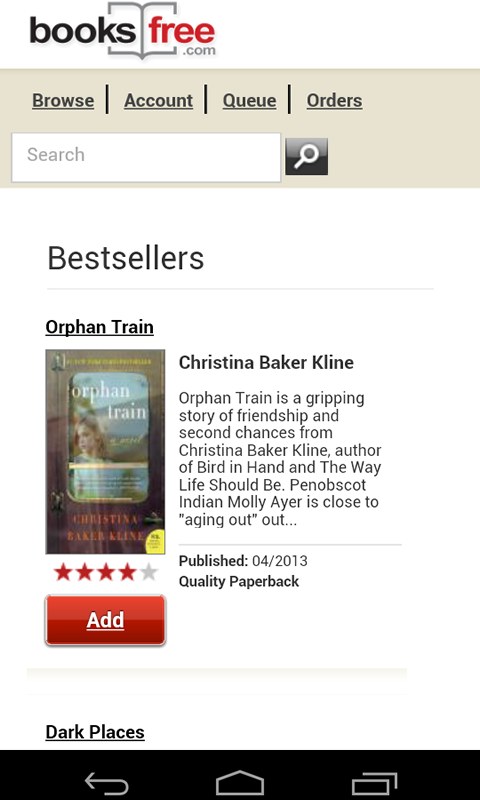 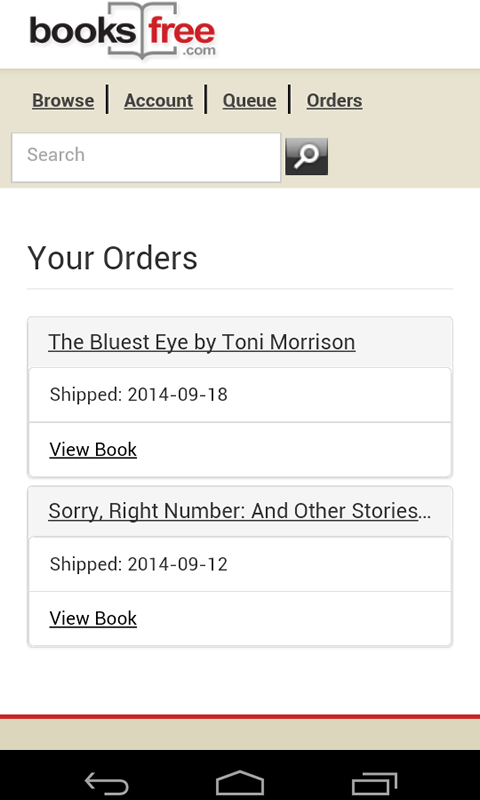 This app is for Booksfree members that allows them to manage their book or audiobook rentals. 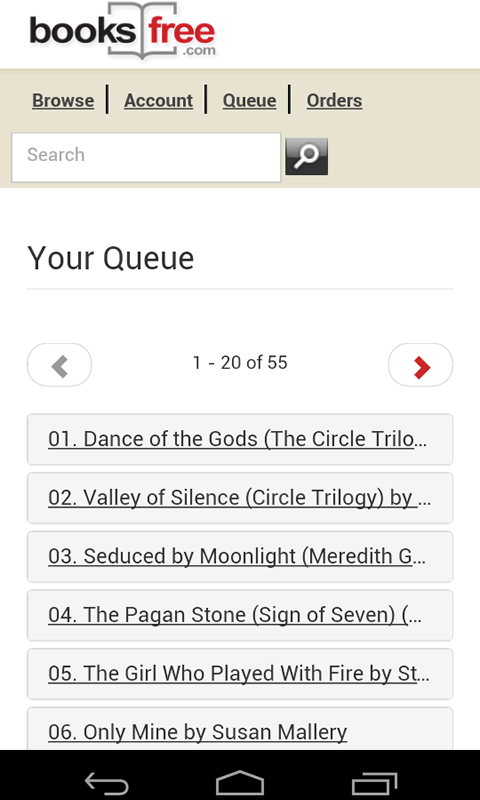 The app provides the following features: - Browse books or audiobooks to add to your queue - Add books or audiobooks to your queue - Members account details - Titles in members queue - Books or audiobooks currently checked out by member This app is intended to manage an existing Booksfree account. 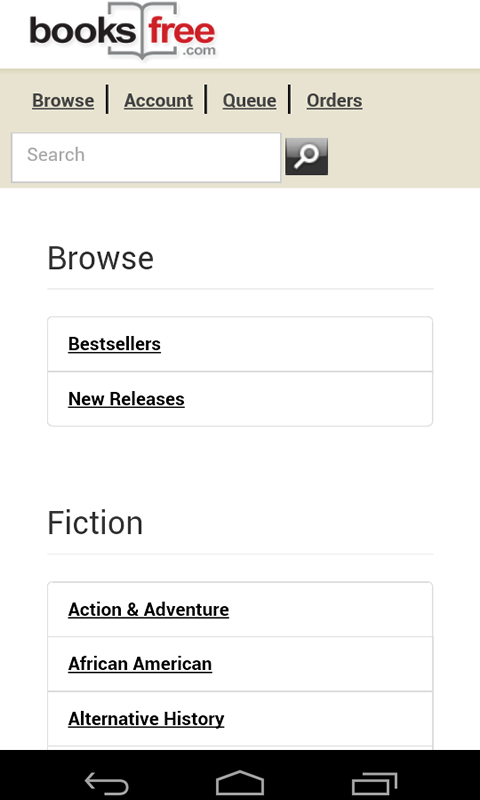 For new users, please visit our website at www.booksfree.com to sign up or for additional details.